Albania, officially known as the Republic of Albania is a country in South Eastern Europe. It is less than 72 km (45 mi) from Italy, across the Strait of Otranto which links the Adriatic Sea to the Ionian Sea. 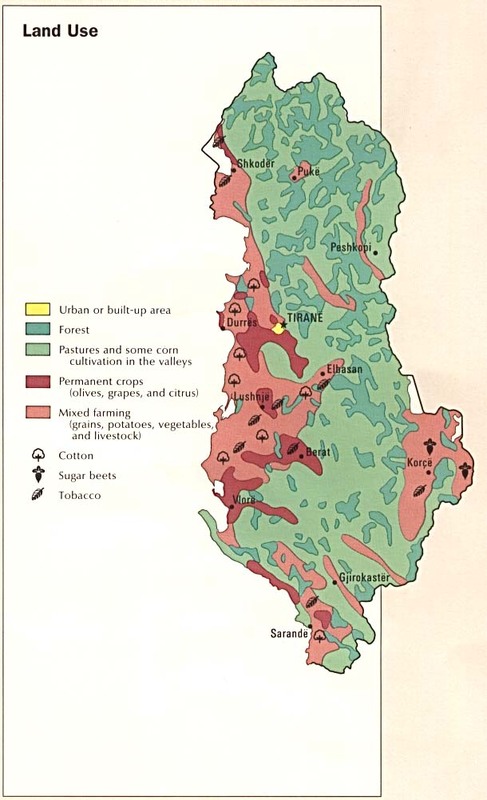 Map of Albania (Small Overview Map). Map of Albania (Map Regions). Map of Albania (Political Map). Map of Albania (Topographic Map). Map of Albania (Relief Map). Map of Albania (Large Relief Map). Map of Albania (Population Density).